As email grows in complexity and effectiveness, so do the technologies and services that power it. But the email service providers (ESPs) and even the in-house solutions can’t be expected to provide for every need an email marketer might have. Yet the need exists, and in a game that’s sometimes measured in half a percentage point, every little detail counts. Enter niche email marketing solutions. Nimble and savvy businesses are popping up to fill the voids others can’t, by providing hyper-focused solutions that help companies improve on even the finest points of their email marketing campaigns or operations. It’s not just the email marketers who need some specialized products. Even the email service providers need a little help now and then, and niche email products can offer it. 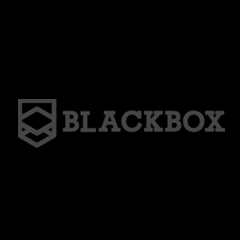 Consider BlackBox, a product we first launch nearly four years ago. BlackBox helps ESPs find potentially problematic customers, before the damage is done, by allowing ESPs to preemptively score the level of permission in their senders’ lists and manage those senders more effectively. It reduces risk, expedites new customer vetting and improves email deliverability. On the other side of the fence are the email marketers, who are doing more with less as email gets more complex but budgets stay the same. Several products stand out as big solutions to little problems. Only think of all the little pieces necessary to a full-blown email marketing campaign. One niche product stands out, even though it’s still in beta: FormSwell is an easy way for email marketers to create powerful email signup forms without coding or cumbersome integrations. Another favorite niche product of mine is EDMdesigner, for creating custom, responsive email templates without coding. Even though most people view their emails on a mobile device, not many emails work well on the small screens. It takes responsive design to make emails look good no matter the device, but that requires some special skills—and a lot of time. EDMdesigner takes away the need for the skills and makes it easy, to save you time. Best of all, like FormSwell, it’s available for integration into any SaaS system. This last one is defines the spirit of niche email products because subject lines are so often overlooked. Seriously, one of the most important pieces in getting your email open is usually written in a last minute, haphazard way. But Touchstone’s Subject Line Gold is may take away any excuses around bad (i.e. ineffective) subject lines by making it so easier to analyze subject lines. In addition, ESPs are providing even easier ways to create and access niche email products, for example MailChimp’s Integration Fund. The future is bright and niches are popping! About the Author: Scott Hardigree is Founder of Email Industries (the folks behind Indiemark,BlackBox, FormSwell and Email Critic). Connect him everywhere, here. Today we announced the launch of BlackBox, a service to help email service providers (ESPs) and direct marketers prevent abuse and fraud. In essence what we are providing access to a very large volume of purchased data that is actively circulating around data aggregators so that those who are responsible for email deliverability, marketing compliance or data acquisition can perform their own analysis, in-house, in order to prevent malicious clients or partners from abusing their platforms or budgets. Prior to BlackBox our clients never really knew what you were going to get until they pulled the trigger. Is that list old, purchased, or a ticking time-bomb? Is their customer or supplier a good guy or something else? With BlackBox they know, before the damage is done. ESPs are not only using BlackBox to vet new customers but also to predict bad behaviors. So, depending on the sophistication of the Email Service Provider, they are leveraging the BlackBox data in different ways. For example, some ESPs already have their own in-house process they use to prevent abuse, which is typically comprised of problem data that has already pass through their platform. They in turn are using the BlackBox as a preemptive layer which helps them to be more proactive as opposed to reactive. And for those who have not yet built their own anti-abuse tool, they are using BlackBox to jumpstart their efforts. Likewise direct marketers, specifically those who are responsible for list acquisition, are using BlackBox to successfully vet prospective data partners and conduct periodic reputation audits of their data contributions. Say, for example, a list matches against BlackBox at X% or better, this is a very strong indicator of abuse or fraud. It is at least a very good reason to investigate their client,s or data contributor’s practices more closely. Indiemark is acting as bridge between the underbelly and the uppercrust of the email marketing industry. We want to see this bad data being used for a good purpose, like helping our clients to protect their investments, their reputation and their organization. Learn more. It’s no secret, MailChimp is one of our preferred email marketing service providers here at Indiemark and we’re proud to say that we’re numbered among their MailChimp Experts. But that’s not the only reason why we’re huge fans. They are one of the few email services providers that understand that a great product doesn’t have to cost you a fortune. For example, they offer features such as dynamic content and robust, yet easy to use, template language; features that are not even available at more formal and certainly more pricey ESPs. 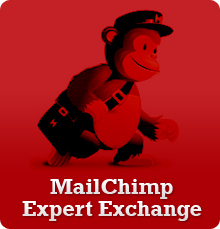 Beyond pricing and features we love MailChimp’s recently launched Expert Exchange Program, in which we participate. What’s This: Need consulting, custom MailChimp templates, API work, or someone to manage your email marketing? Hire us and MailChimp will reimburse you 50% of what you spend with us. Do You Qualify: If you’ve got paid MailChimp Monthly Plan, you qualify! How it Works: Once your project with Indiemark is complete, send your paid invoice to MailChimp. Then MailChimp will take 50% off your monthly bill for six months or until they have reimbursed you for half of the cost of your project. Pretty sweet huh?!?! Already Have a MailChimp Account? Review our MailChimp Services or tell us about your needs. Go to MailChimp, click the “Sign Up Free”, and activate your account via the confirmation email. You’re all set!